We achieved our Investors in Pupils award in July 2014. Thank you to everyone for their hard work and commitment. Over the academic year the staff and children at Lakeside Primary School will be continuing to work hard on our journey continuing to be and ‘Investors in Pupils School’. Investors in Pupils is a central part to our practise at Lakeside Primary School; it helps children to develop behaviour for learning and to understand the importance aspects of school but also provide some ownership to the children of things which happen in school. 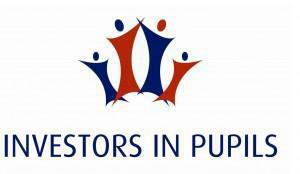 Investors in Pupils is a charter mark which nationally recognises the effort and contributions made by school. It empowers children, increases motivation and helps increase attainment and progress. Pupils begin to understand how schools work. Pupils will become involved with their own education. Pupils will begin to take responsibility for all aspects of their school life. All supporting adults are involved in the process. Investors in Pupils builds on best practice which already exists in schools. What do we do at Lakeside Primary School?